*Helmet has two small spots on front. 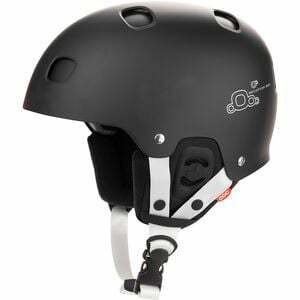 *Helmet still in original box with tags. POC altered their popular four season Receptor helmet to create the snow-specific POC Receptor BUG Helmet which offers bombproof protection and style to boot. Merged hard-shell and in-mold construction creates a unique double-shell design with superior ventilation and the ability to protect your head against impact or penetration from sharp objects. Removable ear pads keep your ears warm on frigid days whether you take the Bug for a hike in the backcountry, or for a few laps in the park.